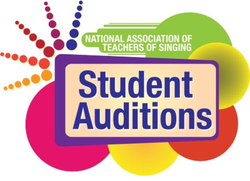 Welcome to the website of the South Carolina Chapter of the National Association of Teachers of Singing. We belong to the Mid-Atlantic Region of NATS, which includes four chapters South Carolina, North Carolina, Maryland/Washington D.C. and Virginia. Please explore the website for information and links related to our state, region and national NATS events. SCNATS members, please log in/register to access member protected documents. For website related questions or assistance, please contact the webmaster. *Dues should be paid before January 1, 2019, see deadlines for dues payments.